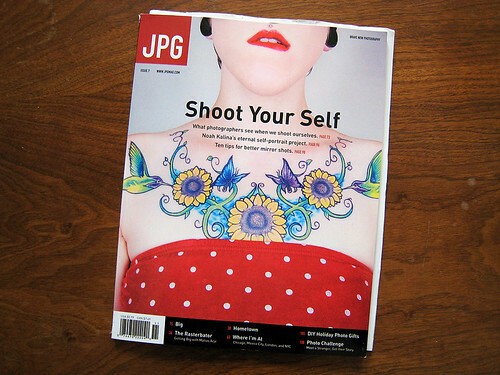 I don't know if this is going to work since I am not able to generate many comments here (yes, this makes me sad at times), but I have two copies of JPG Magazine: Issue 7 that I'd like to giveaway. It's a wonderful photo magazine, but since we are moving, I am trying to let go of things that I probably don't need to move with us. Like two copies of a magazine. So if you want one, leave me a comment with your email address in it. This first two commenters who are interested, get the magazine sent to them, free of charge!